Each month, the Las Vegas United Service Organizations (USO) hosts two Deployed Family Dinners for spouses and children who have a family member that is actively deployed. The USO Las Vegas helps provide a home away from home and a sense of community for more than 32,200 active duty troops, more than 4,700 National Guard personnel, Reservist, and their families based in Southern Nevada. The organization offers programs, support, trainings, and more for troops and families. The Deployed Family Dinners were created to help bring the families of active duty troops together during deployment. On average, the organization hands out 400 packages and toys per month. 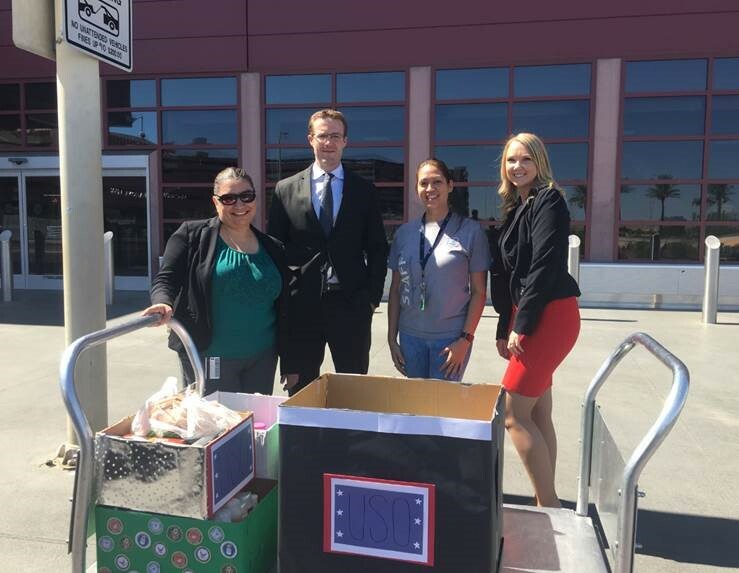 The Group Housing Department at The Venetian and The Palazzo Las Vegas, organized a departmental donation drive to help supply items to families in need. Team Members donated a total of 166 items. “We all know there are a lot of programs that send out care packages to our deployed troops, but what about the families that get left behind? That’s where we step in!” Brendy Cook, manager for groups and group housing services, at The Venetian and The Palazzo, said. Sands Cares, Las Vegas Sands’ global corporate giving and community engagement program, builds upon the company’s legacy of making a positive impact in its local communities. The program encourages and offers Team Members with multiple opportunities a year to volunteer and provide in-kind support to issues most important to them. To learn more about Sands Cares and other Corporate Social Responsibility initatives at Las Vegas Sands, visit the company's website.